Rocker Arm Assembly | Welcome To Decora Auto Forge Pvt. 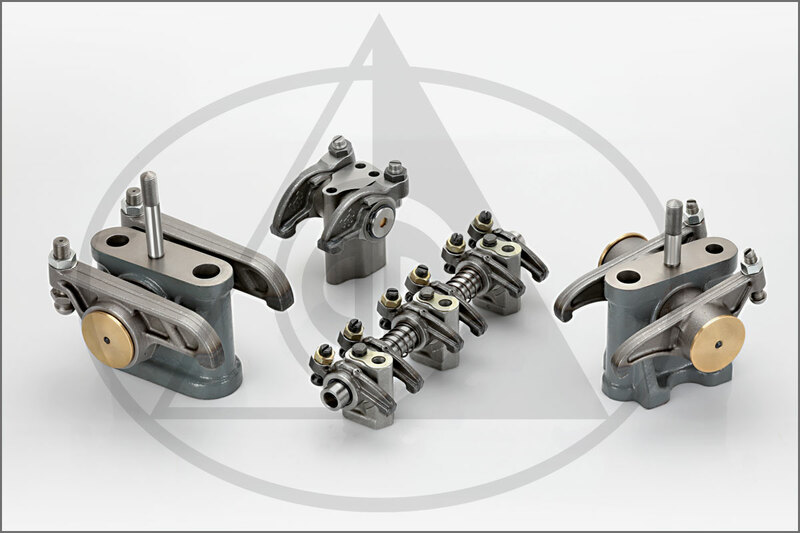 Ltd.
A Rocker Arm Assembly is a group of several Rocker Arms, a rocker shaft, rocker arm brackets, spacers, springs and supports. These components are pre-assembled into groups in such a way that the system can be mounted directly on the engine head and it can be easily ready to use. This parts can be supplied separately also as per requirements. This statement is the reflection of our business ideology which is transformed into whatever we do in manufacturing industry or service industry. Today we are manufacturing more than 250 different types of Automobile Components for Indian and Global Clients. we are also providing all kinds of Engine Parts as per drawing or samples of the Customers.